On other web sites you can read about Mevlana. 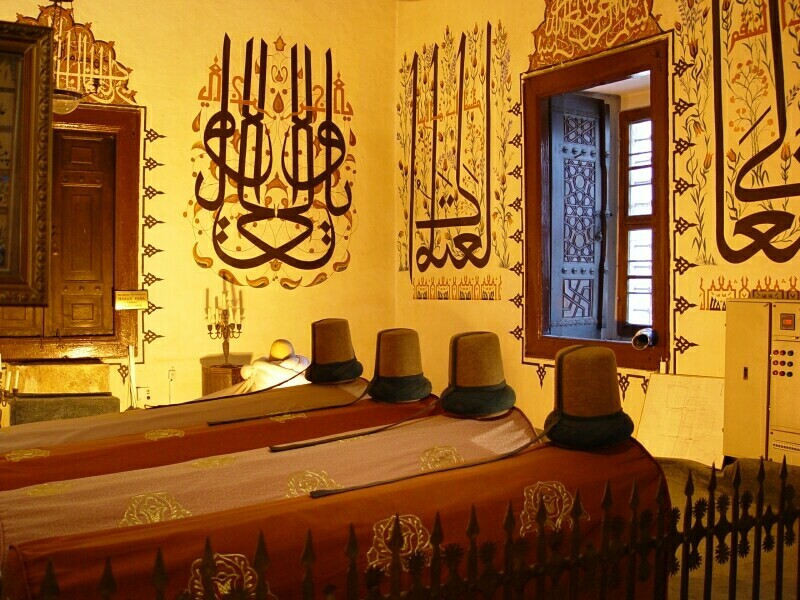 His sarcophagus is in the Mevlana Museum, which is both a place of pilgrimage for many muslims as well as people of other creeds who are attracted by his teaching, and a museum, housing some very good pieces of glassware, copperware, carpets, caligraphy et cetera. In a number of rooms scenes from the daily life in the dervish world are recreated. Here are some monuments to followers of Mevlana. Note the "mirrored" calligraphy on the wall.